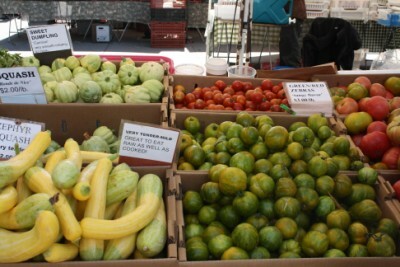 While on the trip we are going to do our best to eat and shop at local, independently run food places and markets. While Thai and Malaysian food is now readily available on most high streets in the United Kingdom, there aren’t many places where you can sample the somewhat understated cuisine of Cambodia. Though it draws on culinary influences from Thailand, India, France (baguettes and pate are a common find), China and Vietnam, the Khmer have created several dishes which they are proud to describe as distinctly Cambodian. 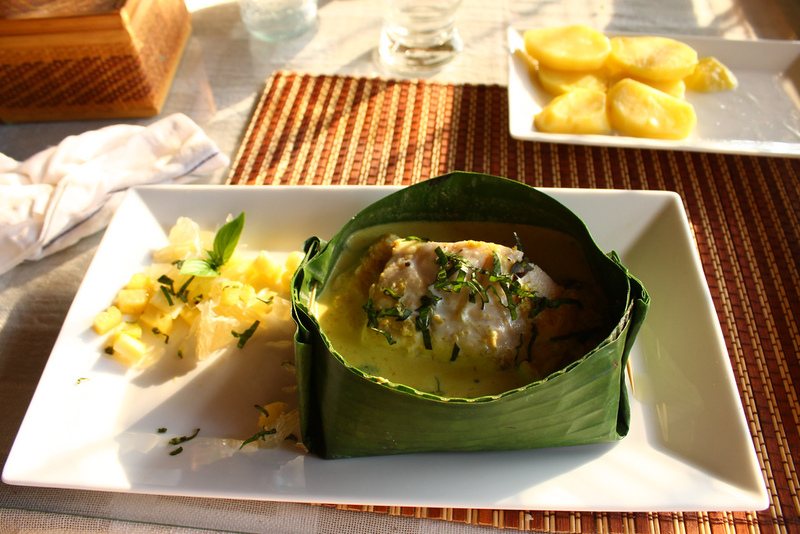 Fresh river fish are a mainstay of the diet (the large Tonle Sap lake runs through central Cambodia, while the Mekong river also curves from northern Laos to the east where it heads into Vietnam), as is coconut and rice which accompanies nearly every dish. First make the kroeung, then slice the fish thinly and set aside. Remove nhor from stem; slice the kaffir lime leaves and cayenne peppers thinly. 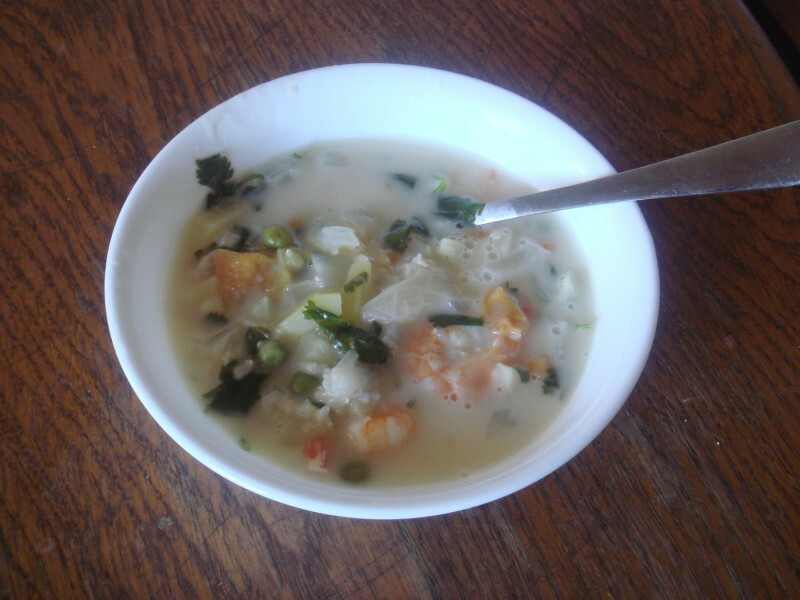 Stir the kroeung into 1 cup of coconut milk, and when it has dissolved, add the egg, fish sauce and sliced fish. 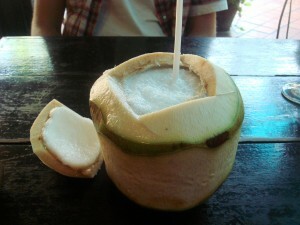 Then add the remaining coconut milk and mix well. 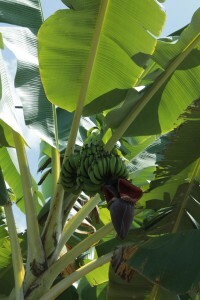 Make the banana leave cups, then put the nhor in first, and top with the fish mixture. Steam for about 20 minutes or until the coconut milk is solid, but still moist. 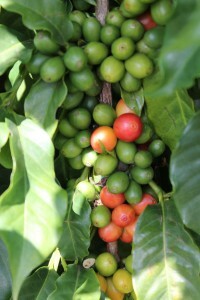 Before serving top each cup with coconut cream and garnish with kaffir leaf and cayenne peppers. First clean the leaves with a wet cloth, then dip them into boiling water so they are soft and do not crack when being shaped. 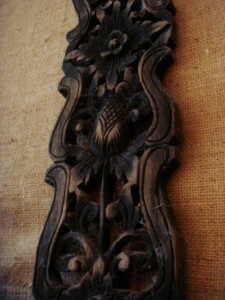 Cut circles 25cm in diameter and place two togther. This is important as one leaf is not strong enough to hold the mixture. Mark a square in the middle of the circle, this will be the bottom of the cup. Then put a thumb on one right angle of the square and pull up 2 sides, tucking the fold, and pinning together with a tiny bamboostick (or toothpick). Then move the next right and repeat. Continue until all 4 sides of the cup are held together. 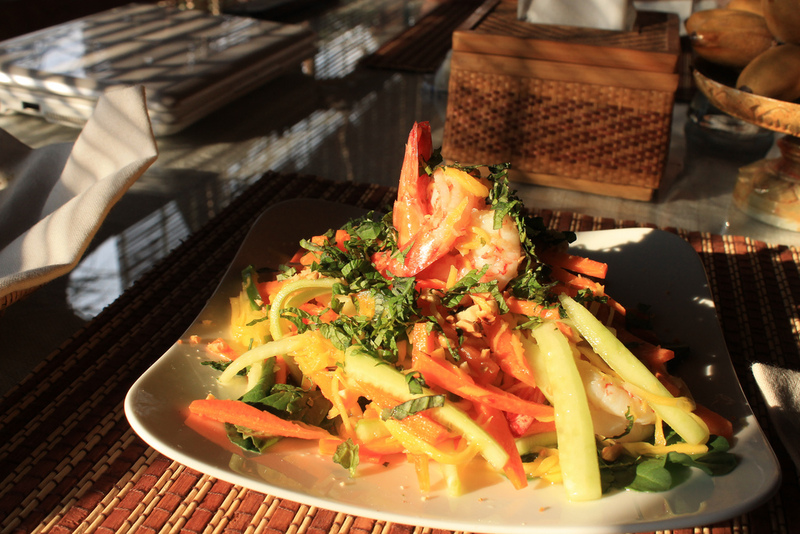 A green mango salad is an excellent accompaniment or starter to an Amok. Whether it’s the freshness or the combination of the ingredients themselves, this salad has an unmistakable zingy flavour which makes it a worthy dish in its own right. Here is a recipe for a Thai variant of the dish – for the Cambodian version, the chillies are very much optional and we also found that they tended to add fresh, grated ginger, kampot peppercorns and diced grapefruit which added to the taste. 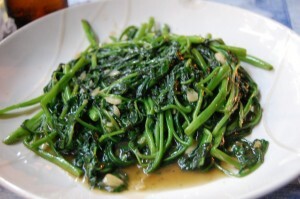 This is one of the main vegetable staples in Khmer cuisine but is also found all over South East Asia. The vegetable is washed, the leaves cut off and the stalks are then fried in coconut oil with the addition of garlic and then served with an oyster style gravy sauce. Delicious! 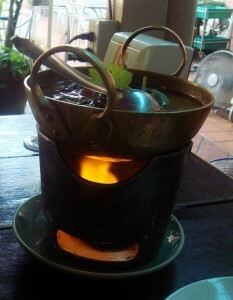 This is one of the staples of Thai cuisine. It is made with a curry paste (usually prepared in advance from fresh ingredients), a little bit of fish sauce and a large helping of coconut cream or milk, served on a bed of steamed rice. The spiciness of the curry varies from restaurant to restaurant and region to region so it is worth asking about this before you order. We found that most of the ‘tourist’ restaurants tone down the spice quite a bit anyway or can adjust the level to your preferred taste. 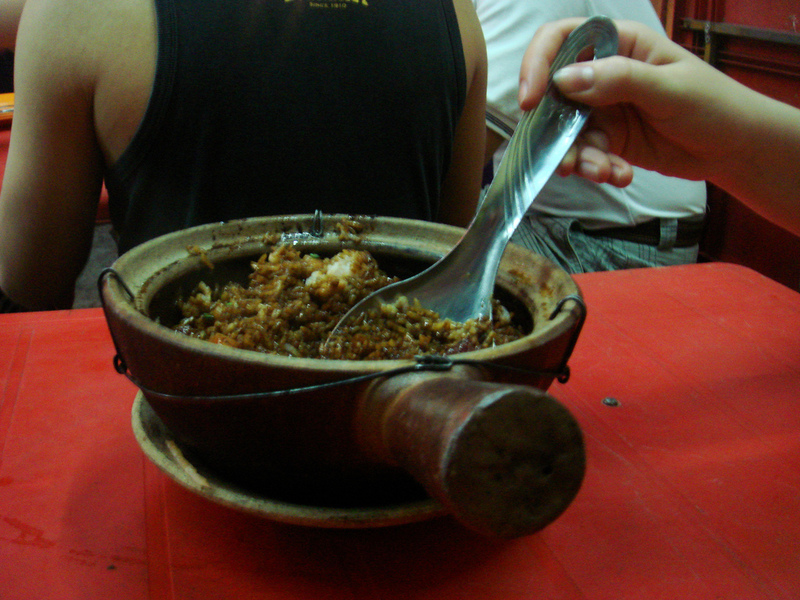 If you want to try the real thing, find a place which specialises in a few key dishes, that appears to be frequented by local people. 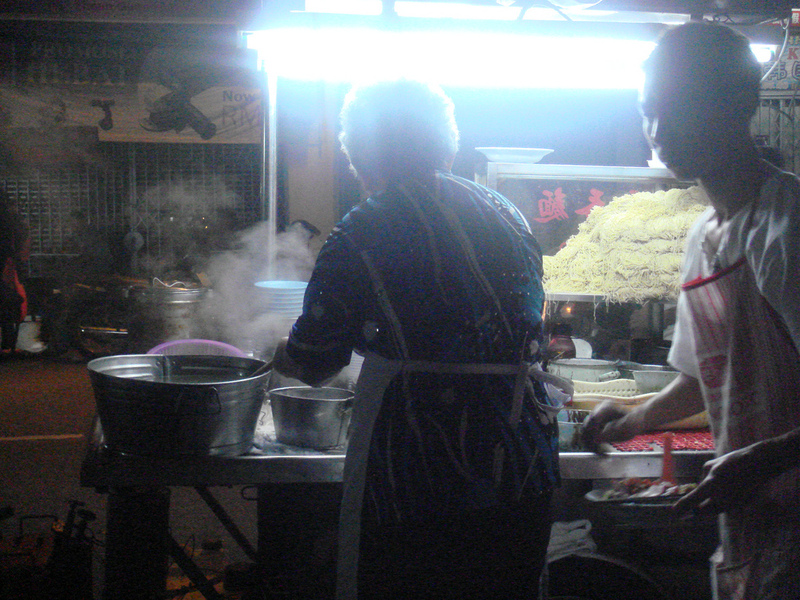 Some of the cheapest curries we had in Thailand also turned out to be the best. 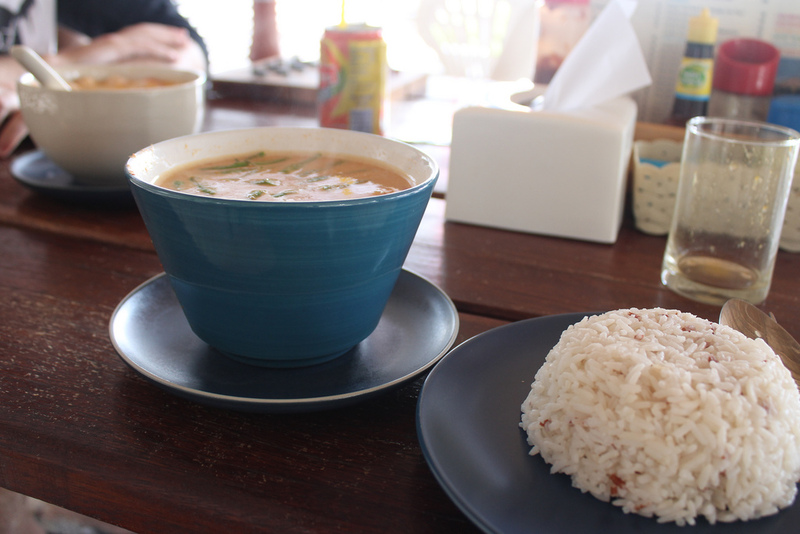 If you find yourself on the island of Koh Lipe , the Sunrise Beach restaurant on Sunrise Beach served an inexpensive but delicious version. Heat the vegetable oil in a large pot and add the onion and the curry paste. Let the onions fry up a bit and stir the curry paste until the clumps break up. Add a splash of coconut milk and stir the curry paste until it’s a bit mixed in, then dump in the rest of the coconut milk and bring it to a gentle boil for several minutes. 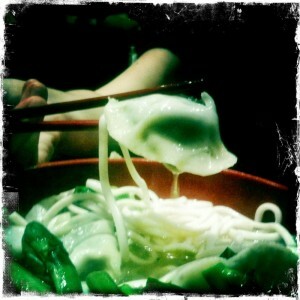 Reduce the heat to a simmer and toss in everything else except the bok choy leaves. Let simmer until the vegetables are cooked through and the curry has thickened a touch, 10-20 minutes. Add the bok choy leaves, stir to wilt, and serve over rice. 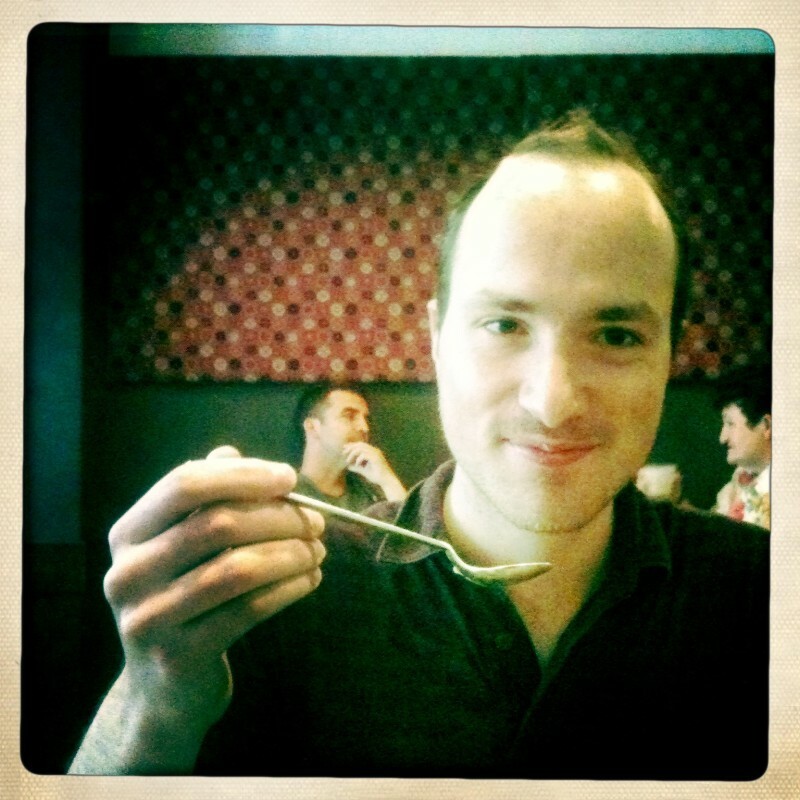 This is a clear, spicy, sweet and sour soup that is served at pretty much every restaurant in Thailand and Laos but is also hugely popular in Malaysia and Cambodia. The soup usually contains fish stock, noodles, crushed chillies, kaffir lime leaves, lime juice, lemongrass, meat such as shrimps or chicken, or mushrooms if vegetarian, and sometimes pineapple. We tried a lot of this soup while travelling through South East Asia and our two favourite versions were found at the Mayflower Restaurant in the Cameron Highlands (22, Main Road | Tanah Rata, 39000) and at Tom Yam Kung in Bangkok, pictured left (on a side street off the Khao San road). 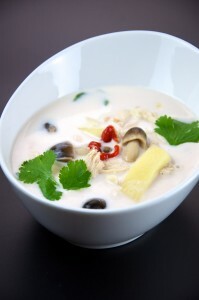 Tom Ka is similar to Tom Yum soup in its base flavours but uses coconut milk to balance its spices. The soup is usually made from chicken stock, though I have tasted delicious vegetarian varieties, to which coconut milk, cilantro, lemon grass, chillies, mushrooms and usually chicken are added. When you see it on the menu, the name of the soup is usually suffixed with the Thai word for the meat or vegetable that goes in it – so Tom Ka Kai is a soup served with chicken, Tom Ka Moo is served with pork, Tom Kha Thale is seafood, Tom Kha Het is mushroom and Tom Kha Taohu is Tofu. All delicious. Only minutes from the Khao San Road, this chilled out café/restaurant transports you a million miles away from the KSR hecticness. Ethos just seems to ooze calm with its comfy cushions, low lying tables, wooden carvings, soothing music and fantastically alternative menu. All their food is vegetarian or vegan and they proudly use only high quality ingredients, sourcing organically where possible. The choice is extensive with Thai, Indian and Western dishes to choose from, including the likes of Veggie Lasagna with Spinach, Veggie Burgers made from home-baked wholewheat, Spaghetti with ‘Meat’ Ball, Falafel Hommus Tahina & Salad with Pitta, Aloo Gobi with Dal, Apple Crumble with Coconut Cream Custard, Chocolate Fudge Cake and Mango and Sticky Rice. They also home ferment their own Tempeh and Kombucha Tea (both of which they refer to as superfoods). Preheat the oven to 180°C (356°F). Place the apple and rhubarb in a baking tray or dish; sprinkle with the sultanas and half the brown sugar toss lightly, add enough water with lemon juice to shallowly cover the base of the dish/tray . Bake for around 20 – 25 minutes until the rhubarb is oozing juices and the apple soft. Arrange the apple and rhubarb mixture into a 6 cup capacity baking dish or alternatively six individual 1-cup capacity ramekins. In a separate bowl combine the remaining dry ingredients and rub through the softened butter with your fingertips until nice and crumbly like breadcrumbs. Sprinkle the crumble mixture over the apple and rhubarb. Bake the crumble for around 20 minutes until golden on top and bubbling underneath. 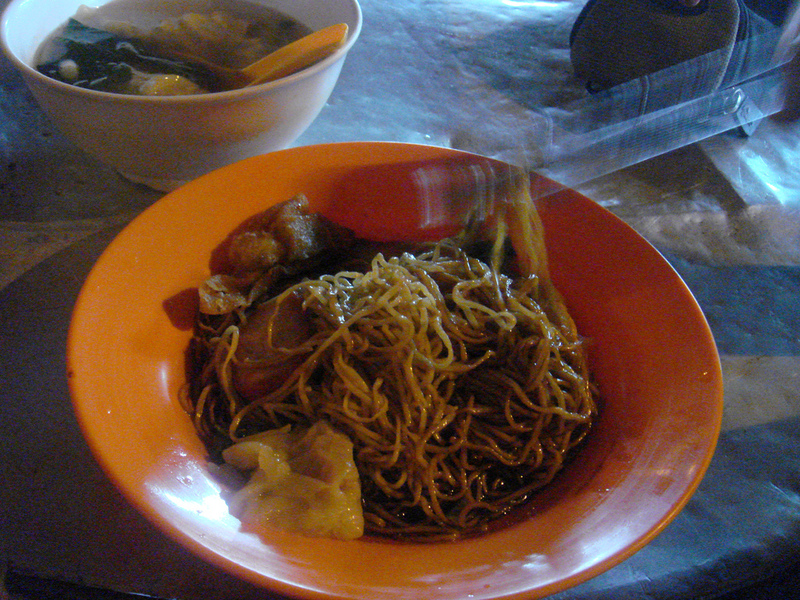 This is a relatively simple broth-based noodle soup to which strips of grilled meat, fish balls or dumplings are added to create a tasty, nutritious main course. 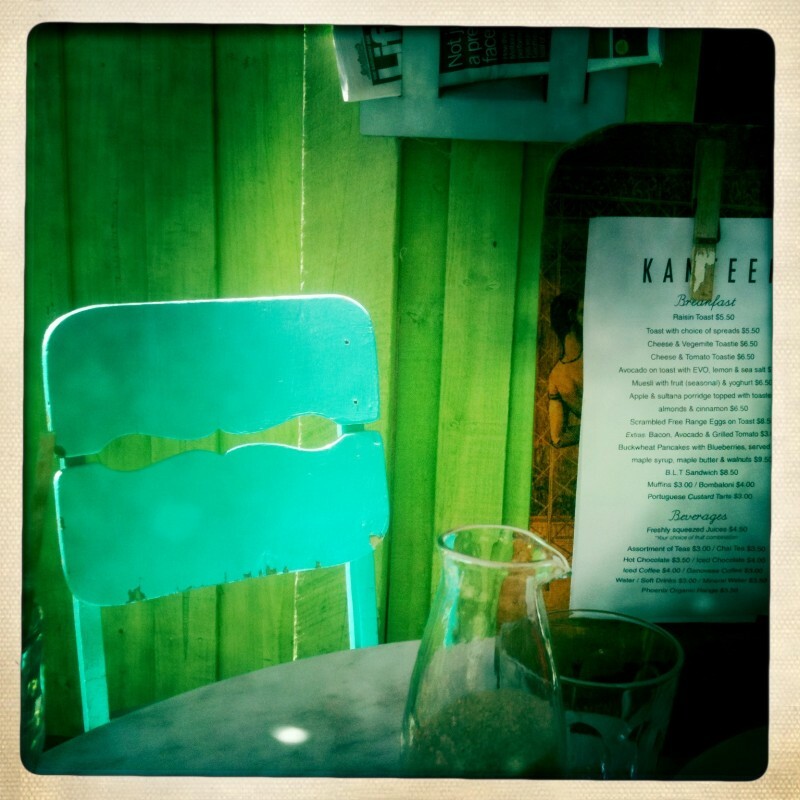 We fought to find a spare plastic chair and table space – the pavements get incredibly congested at dinner time but the lady at the stall told us that someone would find us and bring us our order. Amazingly they did and were soon presented with a plastic bowl of delicious noodles, vegetables and an accompanying dumpling broth soup. All this cost about 50p and was absolutely delicious. 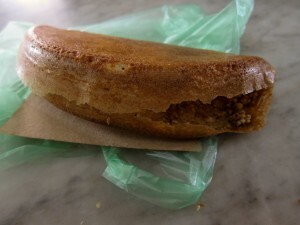 These are made in a similar way to crêpes, but the batter has a thicker consistency and the end result is a crispy pancake that is typically dipped in honey, chocolate or coconut sprinkles. Absolutely the best way to finish off a hawker stall session and also usually priced at only a couple of ringgit each. 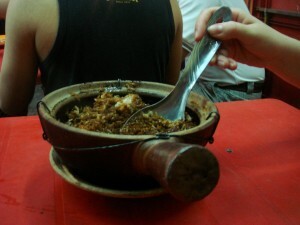 More easily found in Chinatown, this is a local speciality whereby a bowl of rice and vegetables and/or meat are cooked with a barbeque sauce in a sizzling pot. Good for sharing when the daily budget gets a bit tighter. This very popular eatery on Gertrude street takes experimentation to the limit by slicing and dicing iconic and classic dishes to create something new. 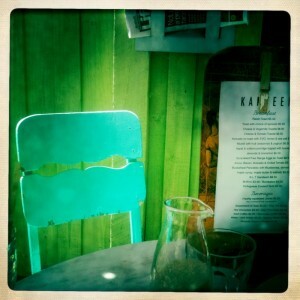 The springtime had brought a theme of deconstruction into the mix and we tried the de-constructed fish and chips followed by a de-constructed banoffee pie. While the presentation was great, the dishes were at best average (‘de-constructed fish’ meant tiny, tough and overcooked fragments of an unidentifiable fish while the banoffee pie was very heavy on the cream and non-existent on the crumb, which sadly was not an improvement on the original). Still this place is very popular with the locals and its innovative and fun approach to food, combined with its ever evolving menu means that it’s only a matter of time until you discover a culinary gem. 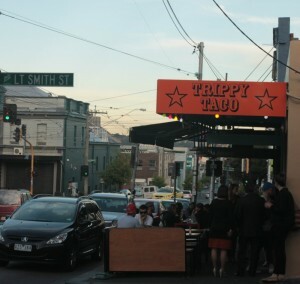 There is no better place on a warm Spring or Summer’s evening to stop for a takeaway before heading to the park in Fitzroy than Trippy Taco. Nearly always spilling over with crowds of both the sit down and grab n’ dash variety, the food here is both reasonable and delicious, serving a range of filling burritos, tacos and other Mexican staples for around the $1o mark. The best burritos we’ve yet encountered west of Mexico and a fantastic post-pub snack stop off point. 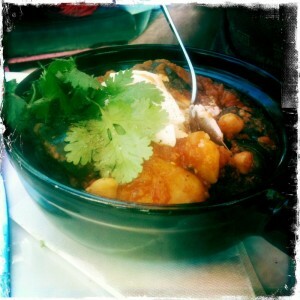 Lentil as Anything is one of those operations we came to think of as typically Melbourne. 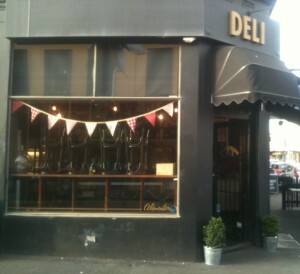 With branches in both Abbotsford Convent and St Kilda, their idea is to serve a range of vegetarian (and vegan) lentil curries on a pay-what-you-want-to, self-service basis. Though this idea is not original in itself, at Lentil your donation is anonymous so if you can’t afford to give much, no-one is going to judge you. We visited the Abbotsford branch and found a great community-centric space (complete with board game cupboard), which feeds and provides culinary training for disadvantaged people. As with Café Gratitude in Berkeley, if you enjoy the food and have the means, you are encouraged, but by no means forced, to pay a little extra so that someone less fortunate is able to eat there – which really wasn’t a big ask given the quality of the food and the fantastically welcoming atmosphere. 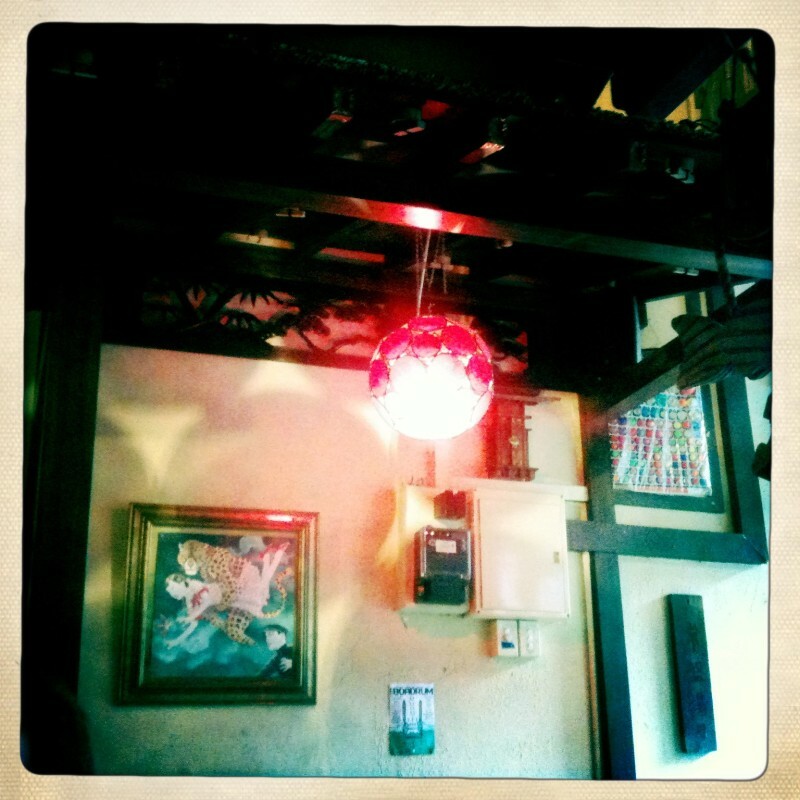 Located at the south end of Smith Street, this restaurant shows its authentically Japanese style the moment you walk in. We found inventive sushi dishes and seasonal bento boxes as well as delicious sashimi and soups in a vibrantly decorated environment – the secluded garden section is particularly atmospheric. Visit during the day for some light bites at café prices. 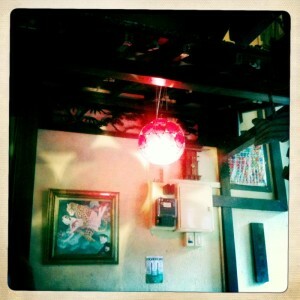 The plum wine is so-so but the on-tap Asahi or sake offer an excellent liquid accompaniment. 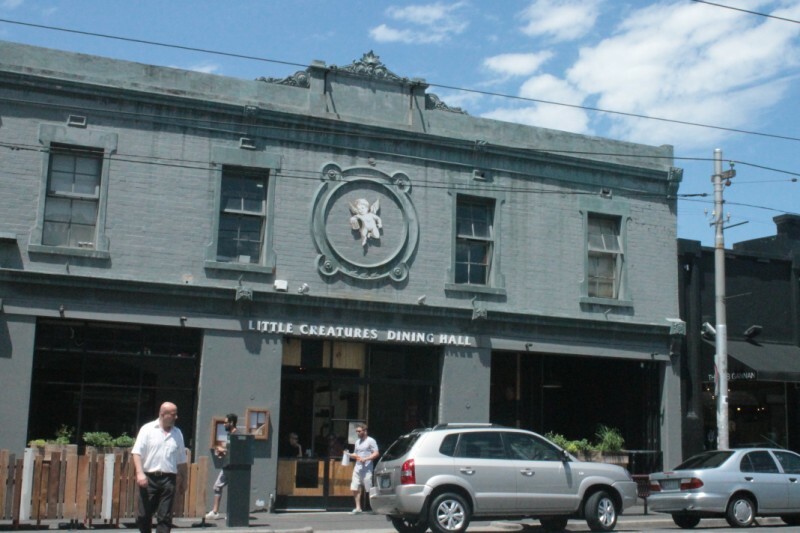 This is another cavernous converted warehouse operation on Brunswick Street, catering to a somewhat hipster crowd – it has several smaller dining areas adjoining the main, airy, canteen-style dining room. 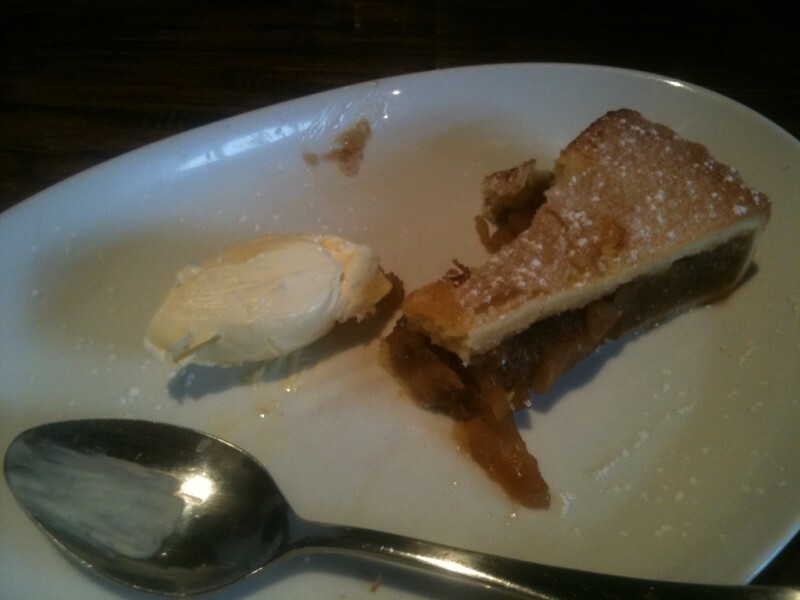 We generally went here during the quieter daytime periods to make use of the free wifi ( and home brewed ginger beer) but it also serves a decent range of pub-style offerings, in the form of delicious pies with mash and gravy and apple pie with ice cream. Combine this with a pint of their own-brand ale and it’s a great place to while away a Sunday afternoon in Fitzroy, especially if its raining! A very popular little bakery, tucked away on the northern end of Brunswick Street near some kooky vintage fashion stores and the Fitzroy garden nursery. 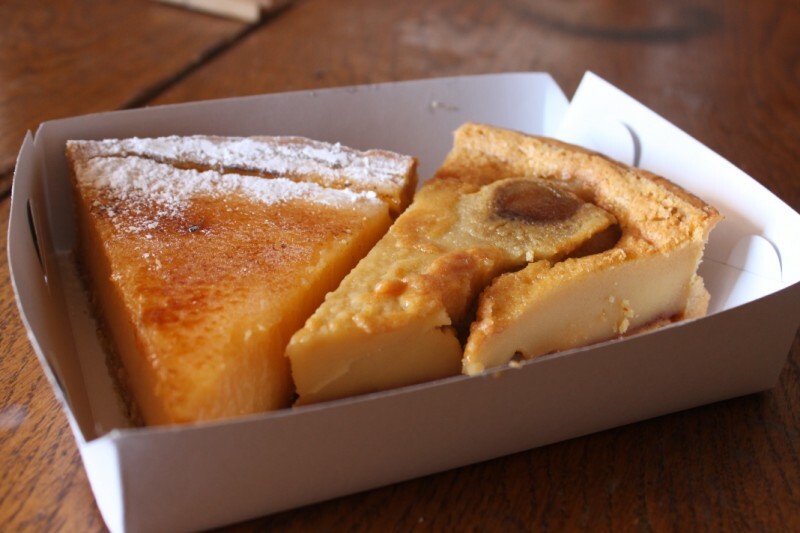 Open for lunches only, there is nearly always a wait but if you’re in a hurry head straight for the take away lemon cake, said to be the best in town, and we couldn’t really disagree! Menu items change seasonally and range from hearty stews to delicate salads but it’s the cakes which really make the trek up Brunswick street worth it. We were introduced to this unassuming family-run Thai restaurant by our flatmate, who has been visiting it more or less every day since he arrived in Melbourne. 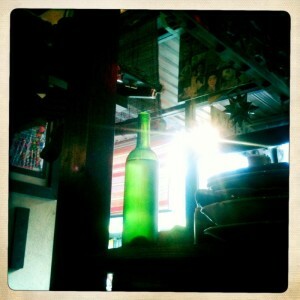 The owner, a man called Boon, exudes the calmness of a veteran restaurateur who knows that his food is the real deal. Sometimes the meals can take a while to arrive, but they are well worth the wait and with very reasonable prices, there are few complaints from the large number of regulars. We recommend the lemony Tom Yum soup with prawns, and the Panang or Yellow Thai curry though everything on the menu looks delicious and Boon is always happy to provide a bowl of freshly chopped chilli to anyone who requests it. Located in Melbourne’s Chinatown, we were told early on that this is one of the two dumpling houses of the moment (the other being the Shanghai Dumpling Village on the main street). 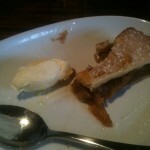 You will be able to identify both by the long snaking queues out of the door but they are definitely worth the wait. Both have extensive menus, free green tea, a BYO policy and a very fast and graceless service but the hand made dumplings are among the best we’ve tasted. Neither take bookings so either arrive early or enjoy a drink or two in the old shipping container bar (Section next door beforehand. Our favourite stop before or after a film at the Cinema Nova, this small, sustainably aware fish-and-chip shop serves some of the best burgers in town (the grilled tuna with tomato salsa is to die for) but the vegetarian (and non vegetarian) sushi is also pretty good and the chips are pretty tasty too. 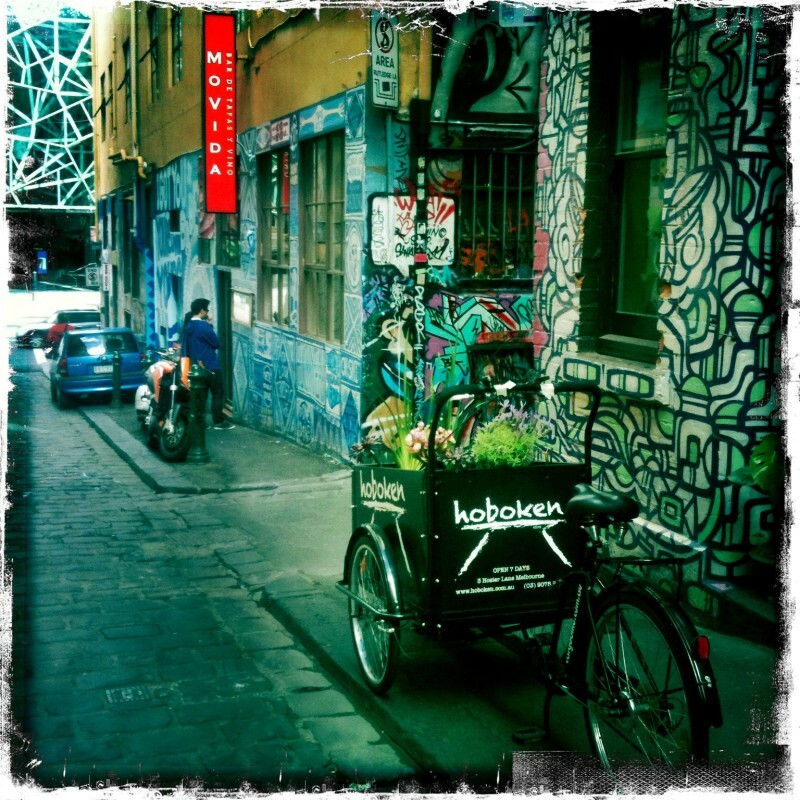 Tucked away down the wonderful, graffiti-clad Hosier Lane lies Movida, a place which is quintessentially Melbourne on the inside and out. This cave-like restaurant, darkened by graffiti scrawled windows, serves some of the best tasting tapas outside of Spain. I try not to eat fish often, but when I do, it is anchovies that I crave (thanks mainly to the delicious anchovy bruschetta’s served at my local Deli in Balham), so when I saw anchovies on toast with smoked tomato sorbet on the menu I had to try it. 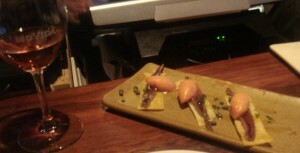 Served with a glass of Tempranillo, these were heaven on a plate and as tapas go, quite filling too. We returned to Movida several times (sampling and sharing small tapas dishes meant it didn’t have to be expensive) and tried smoked mackerel with maple butter sorbet and pine nuts (a little rich but an interesting taste); chickpea and spinach croquettes; cinnamon sponge with pear sorbet and a Spanish chocolate pot with donuts. Movida has built quite a reputation for itself and we always failed to book a table in advance here but the ad hoc bar seating is good and nearly always filled with interesting characters and conversation (particularly of the theatrical variety). Rose Street Artist’s market is a weekly weekend affair that takes place in the heart of Fitzroy, just off Brunswick Street. Inventive local designers and artists show off their wares, which range from vintage fabric earrings and ceramic pendants to notebooks crafted from old vinyls and the covers of old children’s books. 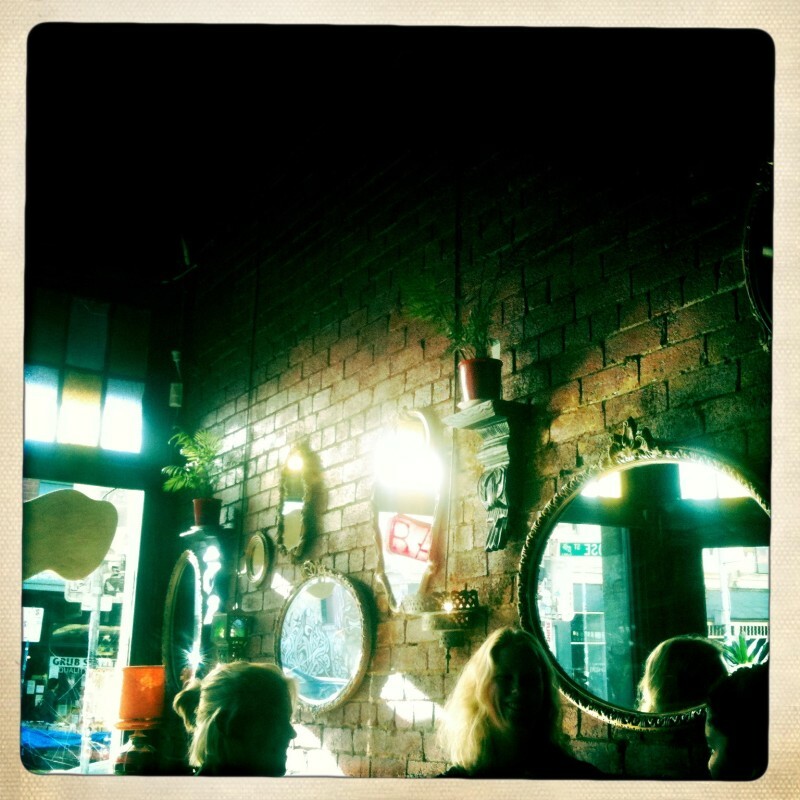 The brightly-coloured canteen also serves excellent home-cooked food such as chickpea curries, avocado with zesty lemon on toast and portuguese custard tarts with Nutella in an outdoors space surrounded by vintage bikes and print umbrellas. 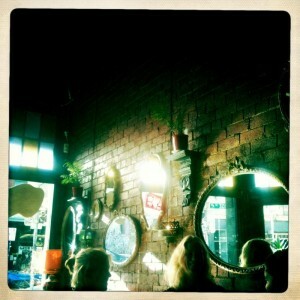 This is home-made craft centric Melbourne at its best, on both the food and design fronts. This was our Greek next-door neighbour which serves decent mediterranean cuisine in a lofty dance hall. 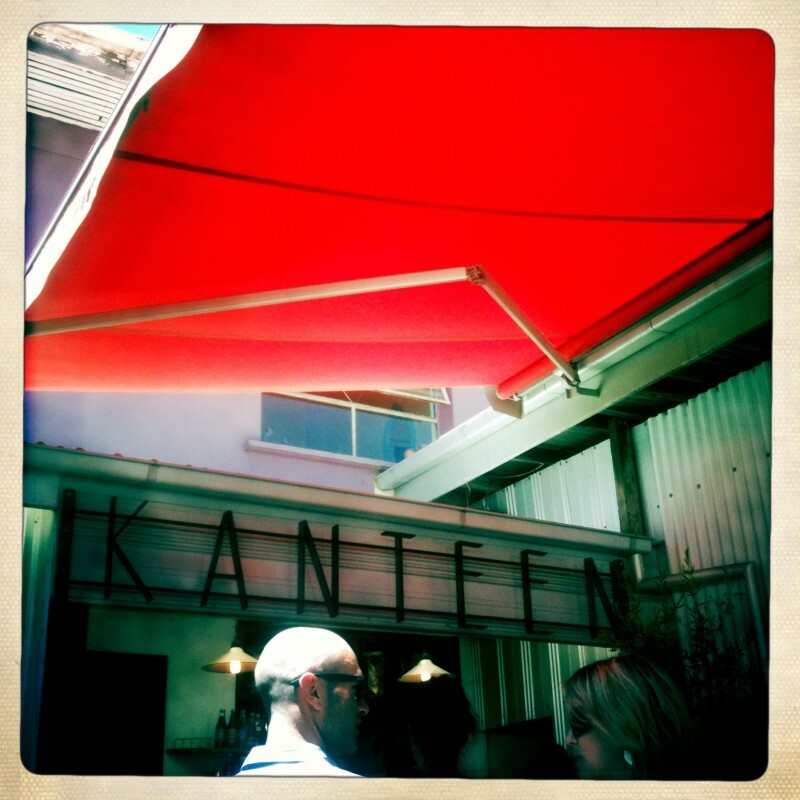 A very popular party venue, we could smell the tempting aroma of grilled souvlaki from our balcony most days and could hear the sounds of plates smashing and Greek bouzouki bands well into the night every weekend. 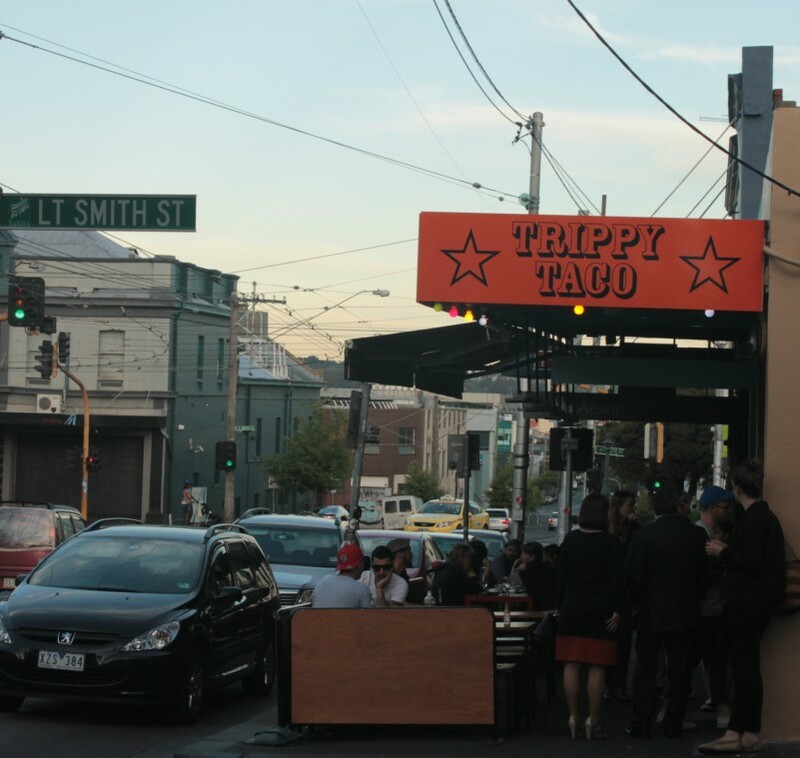 This legendary Fitzroy establishment is well known for its vodka mixes, 80 cent Pintxos and its fabled naked resident who went by the name of Satan. Whether sheer legend or anchored somewhere in truth, this dark bar (think candles and polished copper) is nearly always packed and the eclectic range of Pinxtos are actually very good. 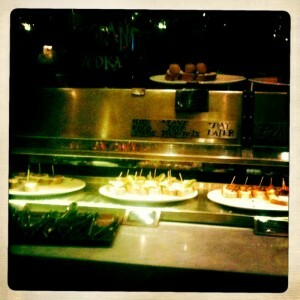 The bar staff circulate with trays so make sure to sit near the kitchen if you want your pick and prefer your tapas hot. When you feel full you simply take up a glass containing all your collected tooth picks and pay – the bill is nearly always a pleasant surprise. 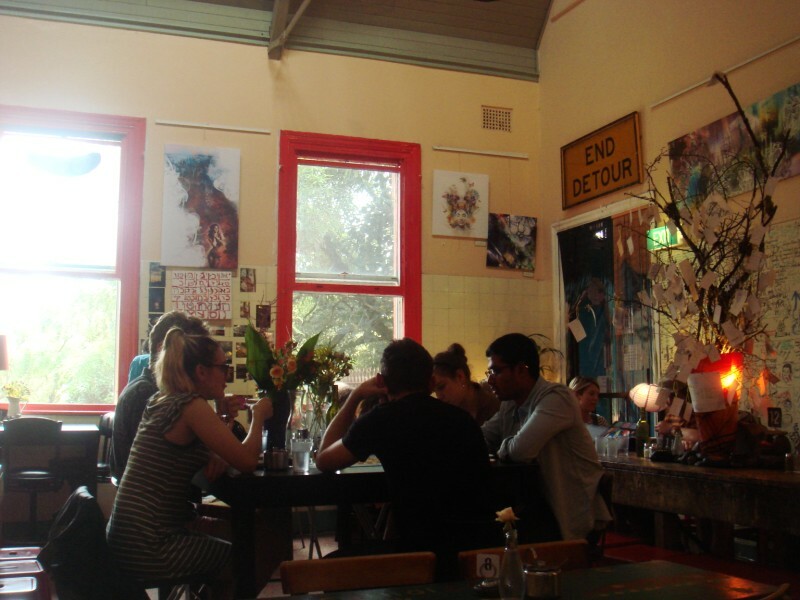 Arrive early (5.30 pm at the latest) or opt for lunch instead of dinner if you want to get a seat at this extremely popular Fitzroy vegetarian affair which doesn’t take bookings. The food is eclectic, nutritious and delicious covering everything from pizza, curries, noodles, broths and burgers to salads. 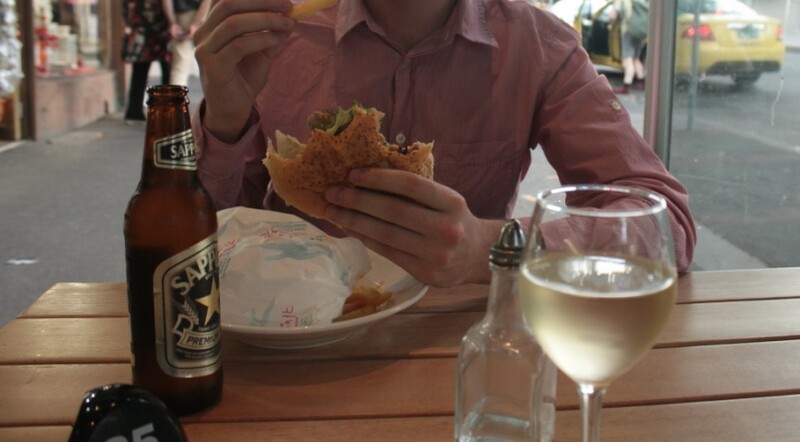 Lord of the Fries (Pun-tastic Fast Food on Elizabeth Street) – Delicious fries, Greasy burgers. 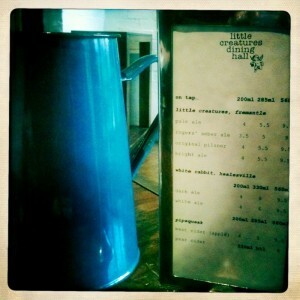 Cumulus Inc. (designer Bistro on Flinders Lane) – Overrated. 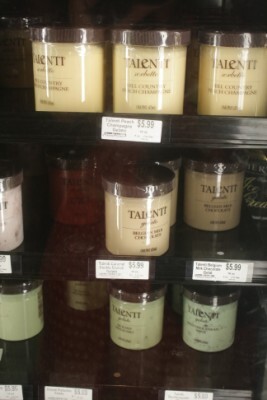 Overpriced. Over-hyped. Pepperoni’s (the ‘best pizza slice in town‘ off Elizabeth Street) – Actually the direct opposite of what its name suggests. We ate here out of desperation at 10pm one night and were served chips with unmentionable additions and soggy pizza with burnt topping. Not to be confused with Apple and Banana Bread, this is a standard banana bread recipe made with locally grown Apple Bananas, which are smaller, tougher and have a stronger flavour than the Caribbean varieties. 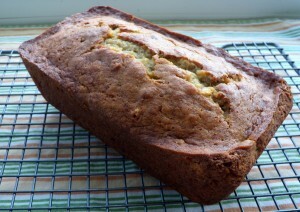 Our banana bread came from the Greenwells farm near Kona, and though we haven’t worked out their recipe here is one just like it! Combine the softened butter, sugar and eggs and blend with mixer. Add in vanilla and half of banana mash and mix again. 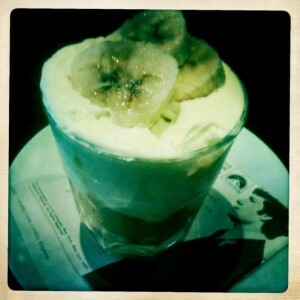 After blended, add in the other half of banana mash and blend again with mixer. In a separate bowl, combine flour, baking soda and cocoa powder. Add this flour mixture to the batter in 3 or 4 stages blending with the mixer after each addition. 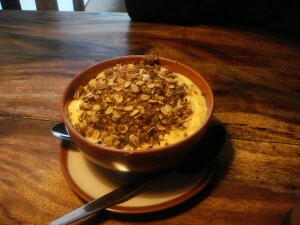 Once completely blended, fold in the sour cream and chocolate chips until well mixed. Pour the batter into a lightly greased 9×5 inch loaf pan and bake in a preheated 350 degrees F oven for 60 minutes. After 60 minutes, check with a toothpick inserted into the center of the loaf to see if it comes out clean. Continue baking if not ready. Cool in the pan slightly before unmolding. Continue cooling on rack and slice when completely cooled. Makes approximately 16 slices. 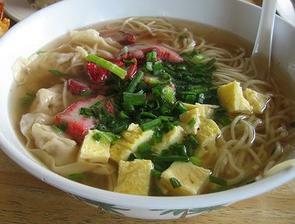 An asian-style noodle soup, filled with dashi (which is Japanese soup stock) or chicken broth and topped off with strips of omelette, onion and fish cake. 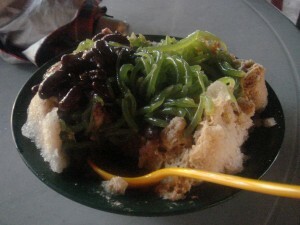 Served at street stalls and fast-food joints across Honolulu, this is definitely worth trying! As far as I can tell, the instructions are simple… boil some stock and put the ingredients in! 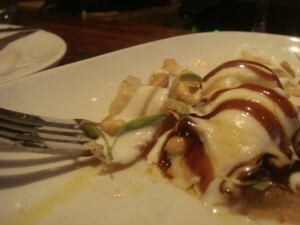 (recipe and image sourced from travelhawaii – licensed under a CC v3.0 Share-Alike license). An ancient Polynesian tradition, also referred to as A’va in Samoa and Fiji, this is a heady cocktail made from crushed Kava root (sometimes with added ginger). The drink is traditionally used for greeting ceremonies between villages but is also served up in local cafes. The taste is quite peppery/earthy but you get used to it quickly, and it provides a calming effect not unlike a nice beer. 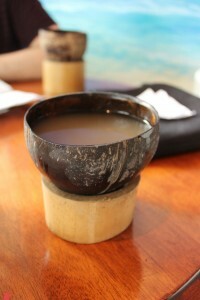 We had ours in the Kava Cafe in Hilo, while waiting for a burst of torrential rain to subside. Located a little way off the main street, not far from the beach is a small roastery with a great selection of international coffees. 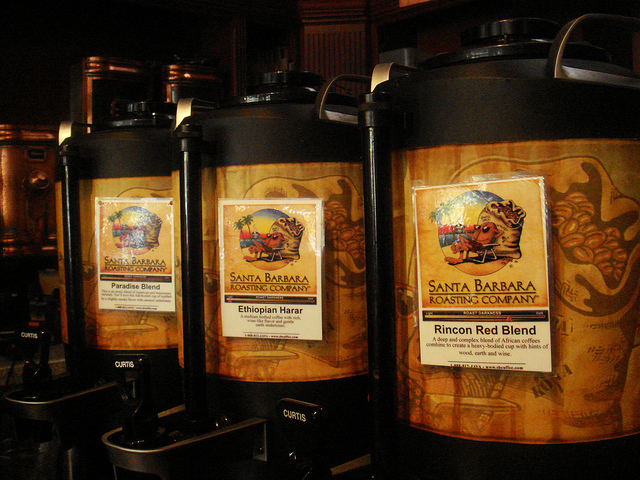 The smell of fresh brew oozes down the street and there’s a wide variety of just-roasted blends to sample from. 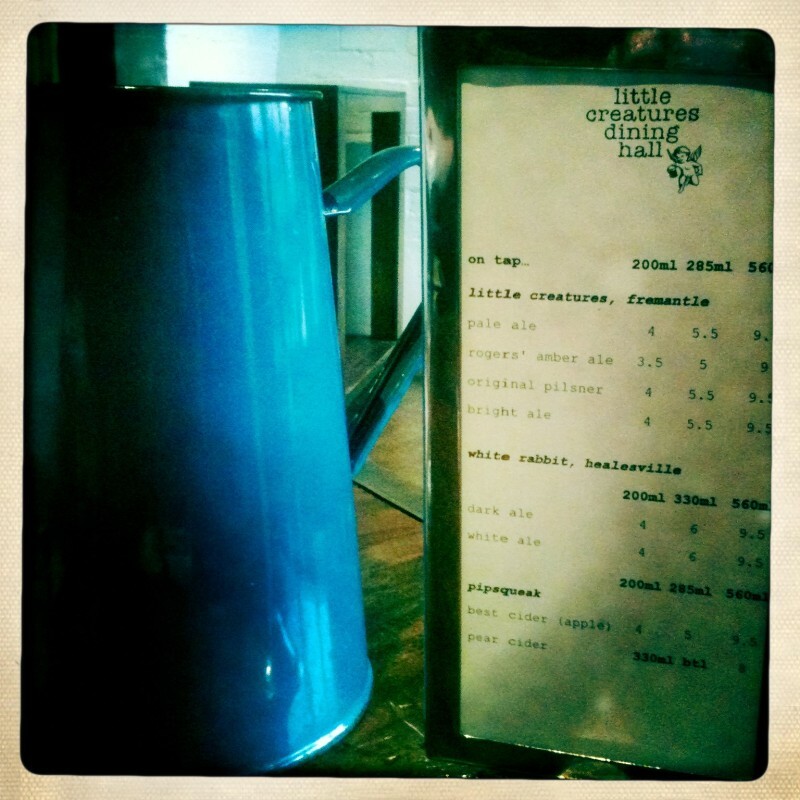 We tried the Ethiopian Harrar, and a couple of sips from the others. 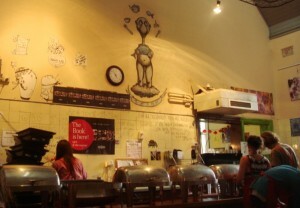 Nice and cool inside (with interesting cat mural) – well worth the visit. 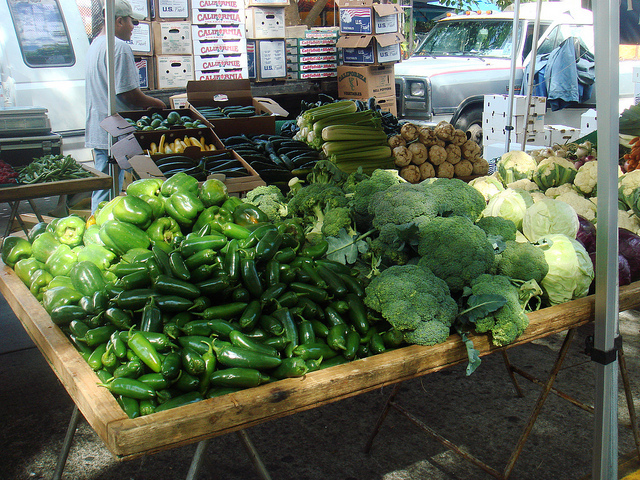 Delicious fresh produce. 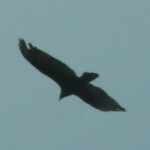 For their weekly schedule click here. 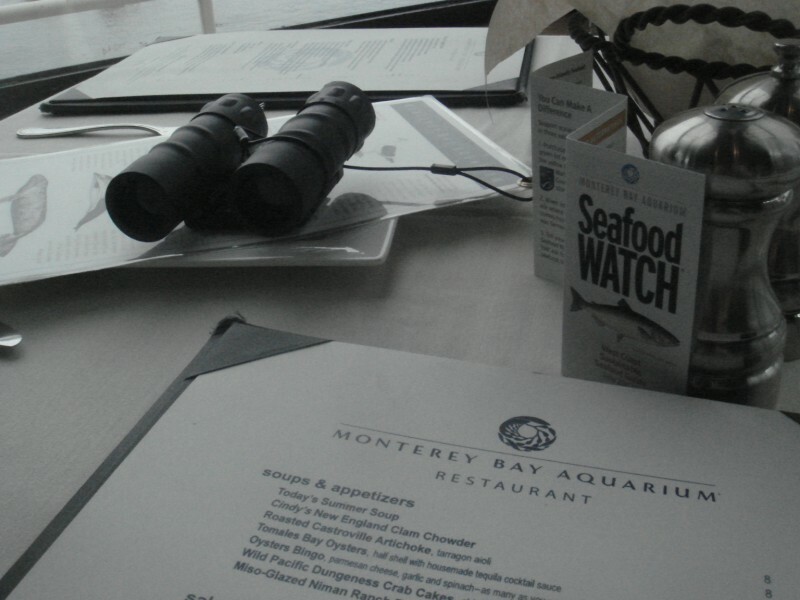 The restaurant at the Monterey Bay Aquarium is well worth a visit, if not for the reasonably priced food, then at least for the panoramic view, enhanced by the placement of table top binoculars which help you to spot the more subtle action taking through the window. Though sometimes it’s safer to leave those well alone – a seal brutally bashing a hapless seagull around was not the wildlife spectacular we had been hoping to see. The atmosphere was lightened a little however by an amusing conversation we overheard from the next table sparked by appearance of ‘French’ fries on the menu. An elderly man was proudly telling his group that during the more recent invasion of Iraq, French fries had been dubbed ‘Freedom fries’ by some Americans in protest at France’s objection to the war – he then went on to conclude that once the tide of opinion began to change this side of the Atlantic and it turned out that the French weren’t actually wrong, the French in fry was restored to its rightful place – I’m sure the French were most relieved! 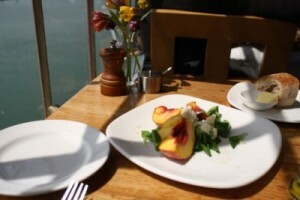 As to be expected with the food available here, much emphasis is on sustainably sourced fish and organic/local produce. There were copies of the aquarium’s recently published sustainable seafood and sushi guides available on each table to either help inform your lunch choice or for you to take home if you couldn’t stomach eating fish while actually at the aquarium. Online copies of the guides are available here or as a handy iPhone app. Although presently there are no guides available for Europe or Asia, someone from the aquarium said that research for these markets is underway and the guides should be available in the UK soon. 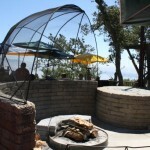 Nestled in the hills above Big Sur is Nepenthe Restaurant and café. Once an infamous bohemian hang out, famously patronised by Henry Miller, Steve McQueen, Kim Novak and the like, some remnants from those days can still be found in the form of its nightly lit hilltop fire and its heavenly “Ambrosia” burger (we tried the veggie burger option but th e recipe for the original can now be found online here). 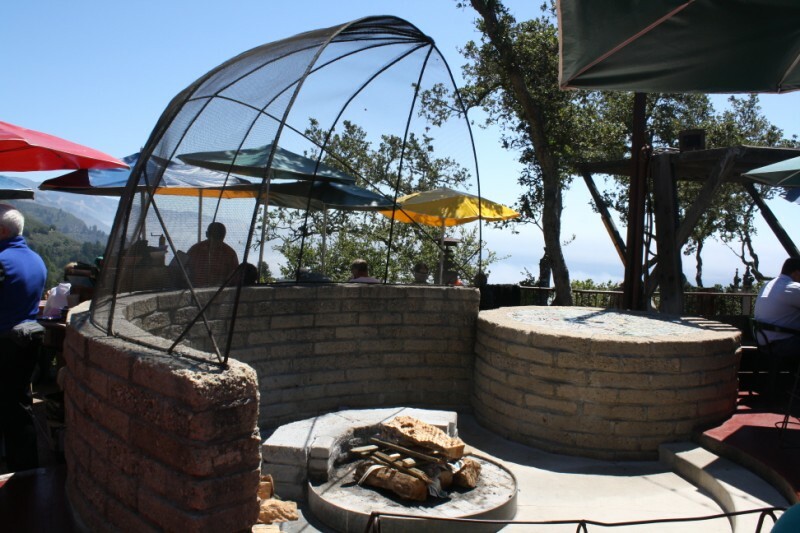 Its illusive history may be, to coin a phrase, a thing of the past but what does anchor Nepenthe to a form of timelessness is its mesmerising view (which unlike neighbouring resorts such as the Post Ranch Inn, you don’t need to spend a fortune to enjoy). 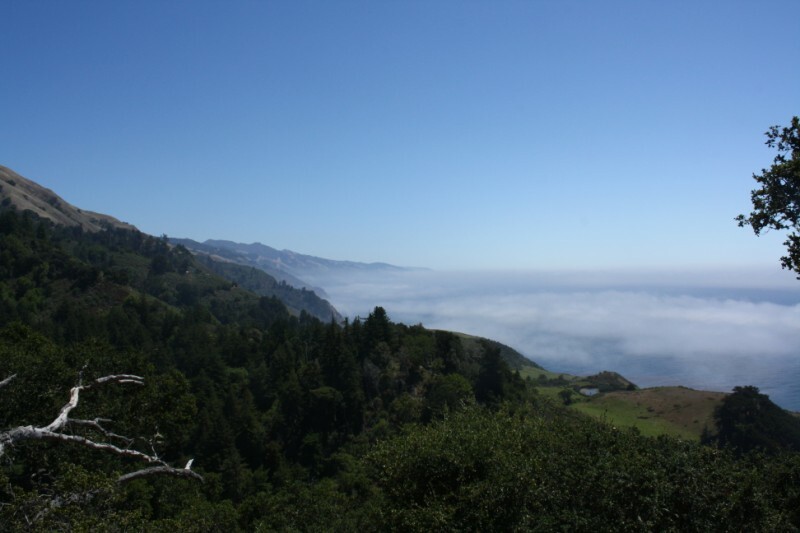 On a clear day, you can sit in a sunlit canopy watching blue jays and woodpeckers branch jump above your head while the sea mists roll gently inland in the valleys below. 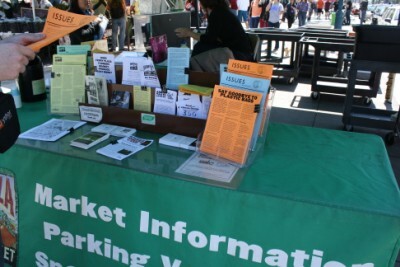 Community markets, such as the New Leaf, are another big feature in California. This store had a great range of produce, with local food being the priority next to organic items from further afield (including the first organic pot noodles I’ve ever seen – not that they tasted any better). 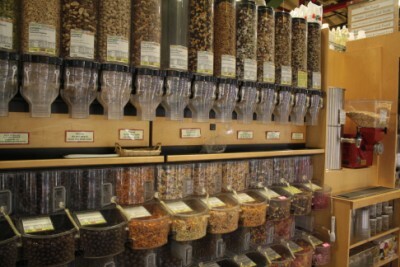 We particularly liked being able to grind our own coffee beans and fill bags full of multi coloured lentils and grains from the vast array of dispensers. 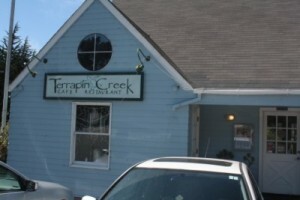 A short walk from the bay itself, the Terrapin Creek Cafe sits in a quaint egg-blue building. It was set up by two restaurateurs from San Francisco (who married each other and moved here) and serves up locally-caught fish dishes and sandwiches. They only serve fish that’s in season and available locally. We tasted some delicious fish stew and sweet corn chowder. Crab was off the menu because the Northern California crab catch has been dwindling in recent years. Next to the Terrapin is a small café with comfy armchairs and a homely feel. 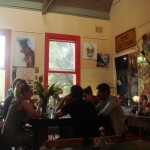 Run by a father and daughter team who bake fresh cakes and bread, and serve good coffee, the cafe also serves as a community hub for the local art scene. 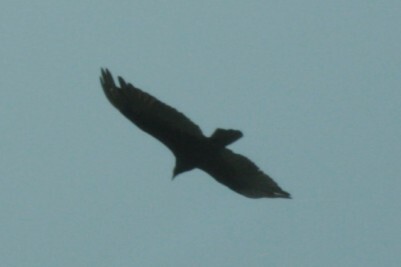 They are also keen wildlife enthusiasts, and told us of an off-the-beaten track road that is excellent for spotting Californian raptors, hawks and turkey vultures (many of whom could be heard shrieking as they circled in the trees above the car park). 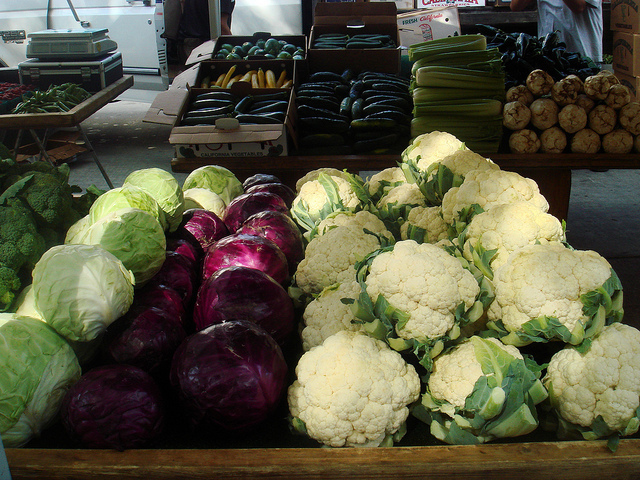 You can’t set foot in California these days without bumping into a farmer’s market. 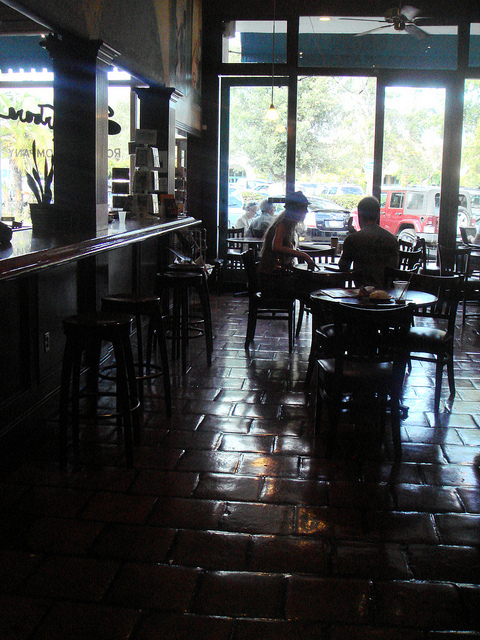 They are as popular as coffee houses and have fast become weekly events in many towns along the West Coast and beyond. The Ferry Building in San Francisco is a well known hub for ‘foodies’, housing restaurants which serve local, seasonal foods often sourced directly from the weekly farmer’s market held just outside. There were about thirty farms with stalls at the market and the selection of food they had brought with them was pretty impressive. For any die hard ‘locavores’ there was a helpful map at the market entrance labelling where each farm had travelled from so you could decide for yourself on where you wanted to draw the ‘local’ line. 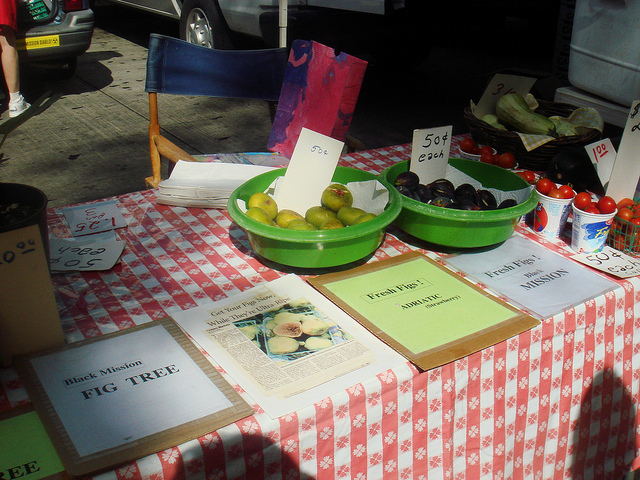 We sampled about ten different varieties of peaches and nectarines before buying one of each (including the fashionable donut peach which looked a bit like someone had sat on it to me) along with a large zucchini-style vegetable called a ‘Zephyr’ squash. The market has a fantastic information stall helping you make informed buying choices via info sheets on intensive/industrial & factory farming; sustainable seafood and sushi; organic produce; fruit and vegetable seasonality and food miles (we were particularly drawn to the example, that in 1996 Britain imported more than 114,000 tonnes of milk while it exported almost the same amount in the same year)! If everyone converted 10% of their diet to organically farmed produce, we could capture an additional three million tonnes of CO2 in the soil, the equivalent of taking two million cars off the road a year. Organic farming builds organic matter up in the soil, sequestering additional carbon that would otherwise be released into the atmosphere. 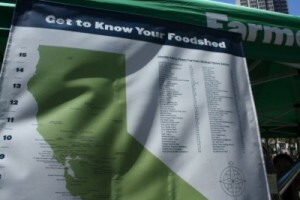 Eating locally can make a real difference – in the developed world, our food travels an average of 1500-2500 miles to get to us – which is 25% farther than it did two decades ago. Food composting can also really help as it cuts down on methane emissions from food landfill sites. 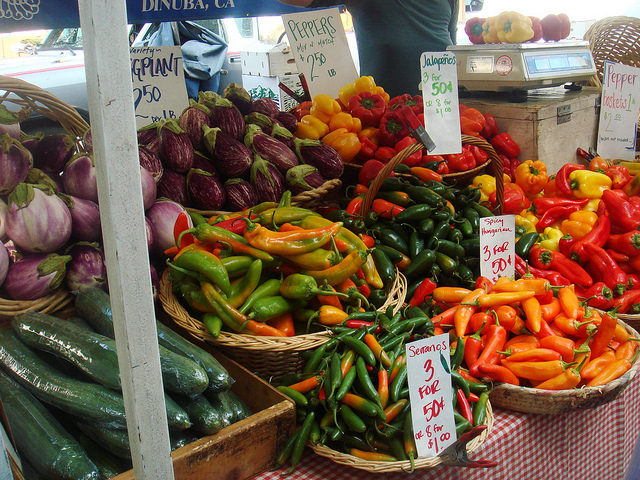 Food composting will also help boost the soil’s power to retain carbon. Information aside, this marked the beginning of Anna’s peach addiction so there must be something to be said for the taste of the food too! This independent chain of Vegan restaurants in and around San Francisco serves a wide selection of raw and “live” food – each dish is named after a particular state of mind, each with their own interesting ingredients (coconut maple ‘bacon’ being one). Like many Bay Area restaurants, they are very community focussed, offering quirky menu items such as a dinner which you pay for by donation or a ”buy it forward” food item where you pay towards something for someone in your community who can’t afford the food. When we placed our order, we were asked if we would like to hear the question of the day. Appropriately, this was: “what do you like most about your community?” Which we sadly never got the chance to answer, getting sidetracked by some vegan ice cream. 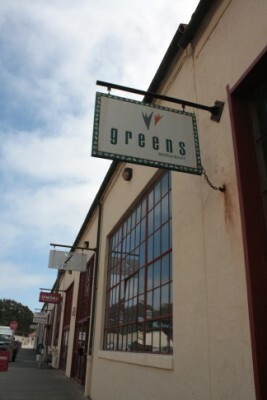 When we asked around about vegetarian restaurants in San Francisco, Greens was the place that everyone mentioned. 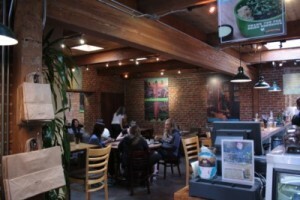 One of the original vegetarian restaurants in San Francisco, it’s housed in a converted warehouse near the marina at Fort Mason on the north side of town. 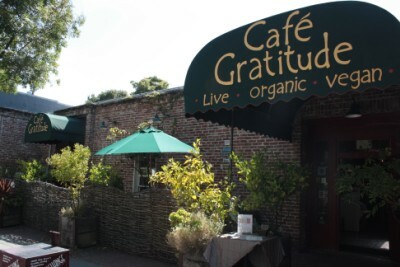 It has long links with the Buddhist zen centre and most of its fresh (organic) produce comes from Green Gulch Farm, located in the Marin Headlands just 14 miles away from Greens Restaurant. We managed to get there just in time for a lunch of grilled blossom peaches with bellweather cheese, honey and watercress (which worked as a combination and could probably be recreated fairly easily at home) followed by grilled vegetable brochettes and an espresso mousse cake. 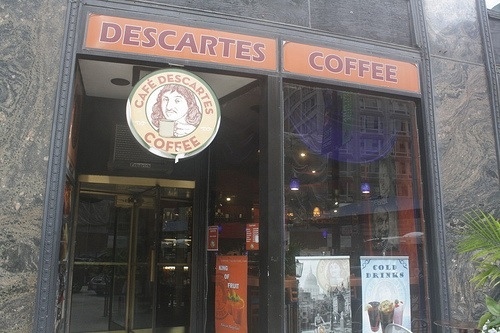 Descartes Coffe e is the antithesis of Starbucks (despite playfully hijacking their logo style and lights). 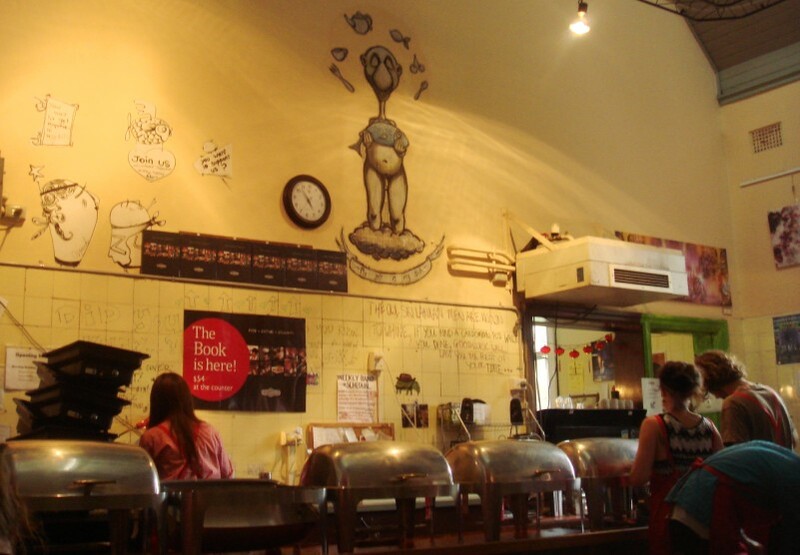 It’s a small, independent coffee shop that is located in a few places around the city, but originated in a stall at the University of Illinois campus in Chicago. The one we visited was just a half-mile walk north of the Millenium Park. 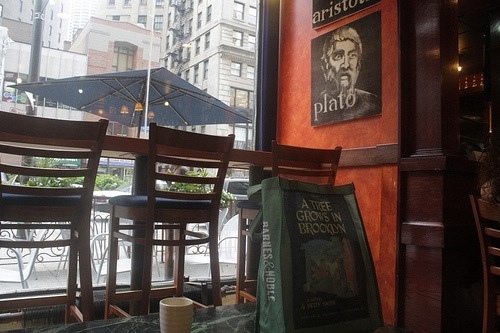 The café has a very laid back feel, and sports style portraits of the usual philosopher suspects – Plato, Nietzsche, Kant and Sartre (notably absent: Bertrand Russell and John Stuart Mill!). 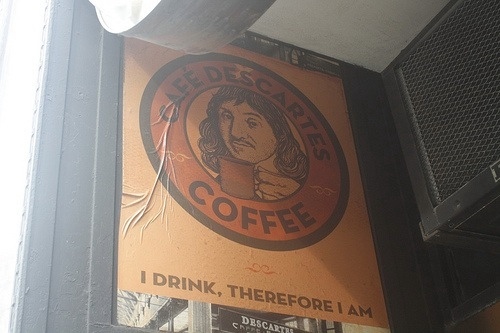 The coffee is all provided by a local microroastery (run by the same) and there are also philosophy lectures on-site once every now and then. At the time of writing, they don’t have a website, only this holding page, so to find out what’s going on you’ll have to give them a call on (312) 263-0583. 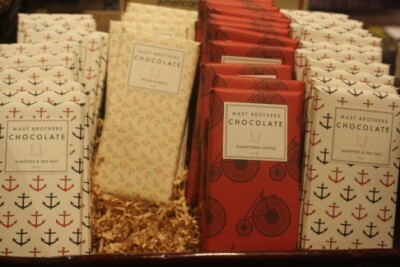 Located in the Streeterville district, just a few minutes’ walk away from Navy Pier, this independent grocery store and café serves a vast array of local and ethically sourced food. The café’s tomato soup served a deliciously cheap staple lunch for us while in Chicago (very simple, just pureéd tomatoes, pesto oil and a few herbs) with hot, freshly baked bread on the side. Highlights from the shop included a wonderful selection of sweets and chocolates produced as part of a direct initiative with growers in South America; a colourful cabinet of ice creams/sorbets from local producers (with flavours such as Champagne Peach and Mediterranean Mint); a deep cave of wines and liqueurs next to an enticing looking cheese counter and perhaps best of all, a vegetable/fruit section full of luscious looking seasonal/locally produced items which were sprayed with a small water spray every few minutes to keep them fresh and hydrated. 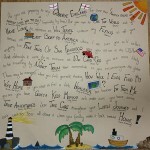 Looks fascinating – I’m mightily jealous of you. How long have you taken off to do this? I’m sure it’s worth it. Have a fun (sunshine?) Christmas? I’m going to be in Tokyo on Christmas Day – is your route taking you this way at all? Really nice to hear from you! We think it will take a whole year – it has been about 5 months so far (with a 2 month stay in Australia) and so far it’s been both hard and amazing at regular intervals. Hope Xmas in Tokyo is fun. How long are you spending in Japan? I think we will be going from Beijing straight to Moscow via Mongolia if we can but if plans change (as they endlessly do) I will let you know! I think we will be having an obligatory barbecue in the Coral Sea sun with the ship’s crew. No contact with land for the next 10 days or so and we have stocked up on Christmassy films, mince pies and chocolate! Can anyone tell me if the Amok paste is available in any shops in Melbourne? 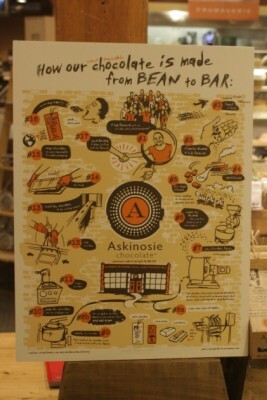 That’s a good question – I’ll forward it on to our friends in Melbourne to see if they’ve come across it in any shops. Best of luck with it all! Many thanks to Mat Johns (Cyberfish) for hosting our blog!